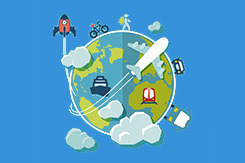 What attracts many visitors from the whole world in this small country are its natural beauties, diverse tourist attraction and hospitality of the people who live in Croatia. The main thing that divides Croatia from Spain, Turkey, Italy, Greece and other Mediterranean countries is Croatia is not commercialized (no McDonalds in every corner, all food is organic, no large hotel chains or towns …). In Croatia, you will see, people live slow and easy, nature is beautiful, sea is still crystal clear. When you wake up in the morning in Croatia, trust us, you will know you are in Croatia and not in some large hotel place with no local people or house miles away. And you probably wonder what about prices in Croatia? Well, Croatia is cheaper from western European countries. 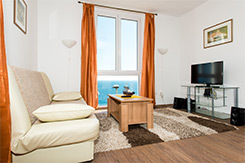 For example average private apartments costs around 15,00 to 20,00 euros per night per person in high season (July and August), if there are more persons (larger apartment) rate decreases and if there are less persons rate increases. In low season you can find good apartment with rate 10,00-15,00 euros per night per person. The main products that are cheaper are drinks in café bars, discos and restaurants (and they are often 2-3 times cheaper), cigarettes and entrance tickets for museums or some events. Average dinner costs around 10,00-15,00 euros per person. So looking from guest perspective we can say it is much cheaper than is western European countries. And what about temperature? Well, Croatia is a country of mild Mediterranean climate - short and mild winters, long and hot summers. The average summer temperature is about 25°C and about 10°C in the winter. We can say Croatia has great climate not too hot that you can not live in summer (and you always have sea and a little bit of wind) and not so cold winters (especially in Dalmatia). Swimming season is from May to October depending on weather of course, local people start swim usually in beginning of June. In Croatia there are around 4 500 000 residents. Population consist mainly Croats and religion in Croatia is mostly Roman Catholic. The capital of Croatia is Zagreb with 780 000 residents. Zagreb is situated in the north Croatia and we advise you to visit it in any time of the year except summer! Second largest town in Croatia is Split. Official language in Croatia is Croatian language. 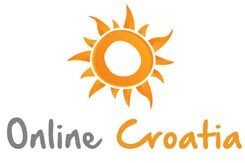 Most of the people in Croatia speak English and large numbers of them (especially in south Dalmatia) speak Italian. The official currency in Croatia is Croatian Kuna. You can change the money from your currency to Croatian Kuna in a bank or in exchange office. If you take your money at ATMs it will be given to you in Croatian Kuna. Shops and shopping centers in Croatia are usually opened from 08:00 am till 08:00 pm during the week and even longer during summer. Most attractive part of Croatia for tourists is Dalmatia. It is located along almost the whole coast of the Adriatic Sea. Dalmatia really has many things to offer - national parks, nature parks, old and culturally rich cities and small places which will offer you a peaceful oasis. 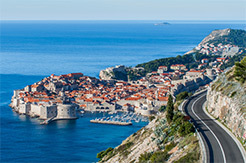 The most attractive area is Trogir and Split area, Dubrovnik area and Dalmatian islands. Croatia is also well known for its National Parks. towns Hvar (top destination), Korcula (top destination) and Pag (top destination) - restful oasiswhere you will fill your batteries.